Protein is an abundant substance found in the human body which is to perform many functions in the body. It is found in each cell, so it is vital to replenish protein in the body for it to function properly. What exactly are the functions protein provides to the body and what foods can you consume to ensure you are getting the proper amount? Read on to answer these questions. Protein is found in many structural components in the body. It is found in the membranes of cells, hair, skin, tissues, muscles and most of the organs in the body. Protein is what helps strengthen all these factors and allows for the body to be able to move properly. From contracting muscles movements to bowel movement, protein plays a major role in the structure of the body. The protein enzymes enable biochemical reactions that take place in the body. This has an effect on the nervous system, the digestive process and even breathing. Protein enzymes help drive different reactions in the body to happen faster. This is vital in the metabolism of turning the food you consume into energy your body needs to function normally. Hormones have a number of effects on the body and begin to play a significant role during puberty. There are some proteins that are hormones and assist in regulating the menstrual cycle in women and sperm production in men. These hormones also have an impact on muscles mass, hair growth, and your mood. 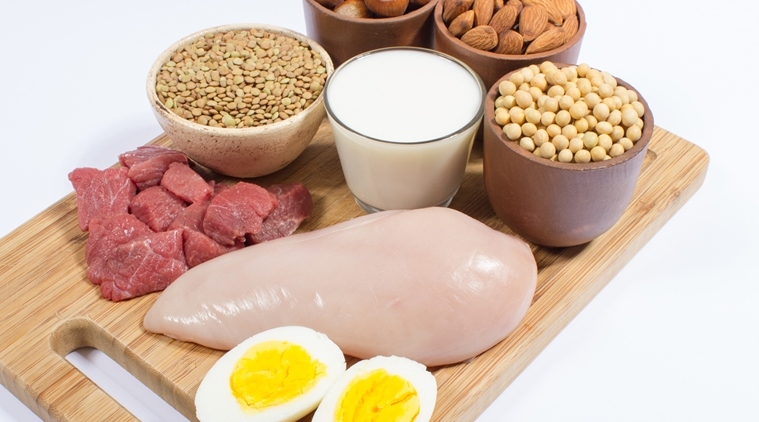 Protein is necessary to balance hormone levels throughout your life and affect the aging process as you move through the different stages in life. Cell division is a vital process that occurs when aged or damaged cells need to be replenished or replaced. One of the functions of protein is to regulate this process. When cells become damaged over time from excess sun exposure or harmful toxins or substances in the environment, healthy cells will divide into copies. Protein is used to regulate this division and growth of new cells. Without the proper amount of protein, the cell division can cause the growth of tumors, which may lead to cancer. The antibodies found in the immune system are a type of protein that keeps you healthy. The immune system is responsible to fight off bacterial and viral infections. There are a variety of antibodies in the immune system and each has their own structure that is designed to invade specific types of bacteria and viruses. Once these antibodies have bound itself to a harmful bacteria or virus, it sends a signal that these invaders need to be destroyed. After knowing how vital protein is to a majority of the body's function, you want to ensure you get enough of it in your diet. When trying to incorporate more protein into your diet, consider including the following foods. Eggs are a great way to add more protein to your diet. While the entire egg is a healthy option since they contain a number of vitamins, minerals, antioxidants and healthy fats, it is the egg whites where the protein is found. One large egg contains about 6 grams of protein. You can improve the functions of protein in your body by eating almonds. An ounce of these nuts contains 6 grams of protein as well as plenty of fiber, vitamin E, magnesium, manganese and other vital nutrients. Chicken breasts, without the skin, provide you with 53 grams of protein. It is such a versatile food that you can cook, bake, roast and include it into a variety of healthy dishes for breakfast, lunch, dinner, and even snacks. Six ounces of nonfat Greek yogurt contains 17 grams of protein. This thicker style of yogurt is creamy and tart which pairs well with most fruits and can even be included in a number of main course dishes. While broccoli only contains 3 grams of protein in every cup, it also has a number of bioactive nutrients that can help reduce your risk of cancer. Eating it raw or slightly steam will provide you with the most nutrients and protein in each serving. Tuna is a versatile fish that contain a significant amount of protein. One cup of tuna in water provides you with 39 grams of protein as well as plenty of omega-3 fatty acids. Pumpkin seeds are a popular snack for many people and one ounce of pumpkin seeds provide you with 5 grams of protein. Along with protein, you are also provided with iron, zinc, and magnesium. This organic bread is made with whole grains, millet, wheat, soybeans, and lentils. One slice of this bread contains about 4 grams of protein. Looking for a way to easily improve the functions of protein in the body? Drinking a cup of whole milk every day will supply you with 8 grams of protein. Most types of cheese like Swiss Parmesan, cheddar and mozzarella contain a healthy serving of protein. Cottage cheese is one of the healthiest cheeses that is low in fat but contains 27 grams of protein. Oats are an incredibly healthy addition to any diet. Just half a cup of oat provides you with 13 grams of protein. Lentils are not only high in fiber, iron, folate and other nutrients, a cup of lentils boiled contains 18 grams of protein.